Dynamic urban development simulation models are usually separate to urban planning tools making it difficult to test the consequences of urban planning variants directly without switching between expert tools. 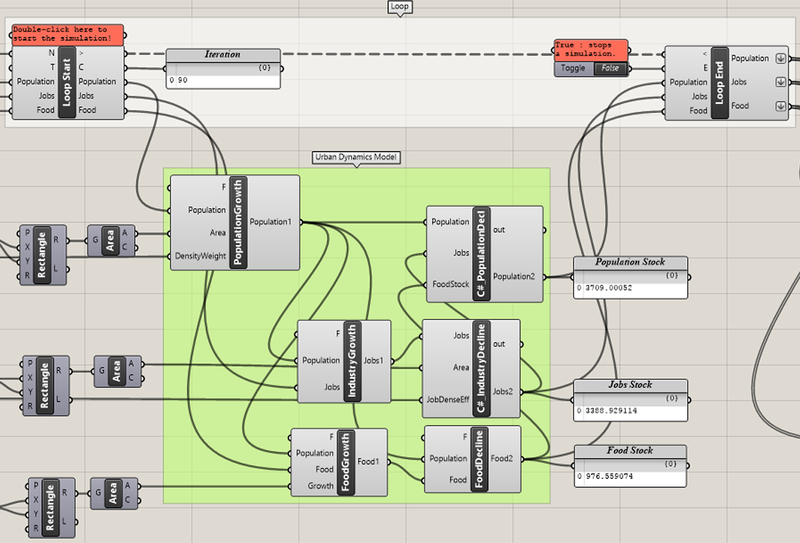 This paper presents an approach to integrating system dynamics simulation at various scales and abstractions in the visual programming environment Grasshopper for Rhino3D. We demonstrate how Grasshopper may be used with additional customized components as a flexible integrated urban planning and simulation framework. 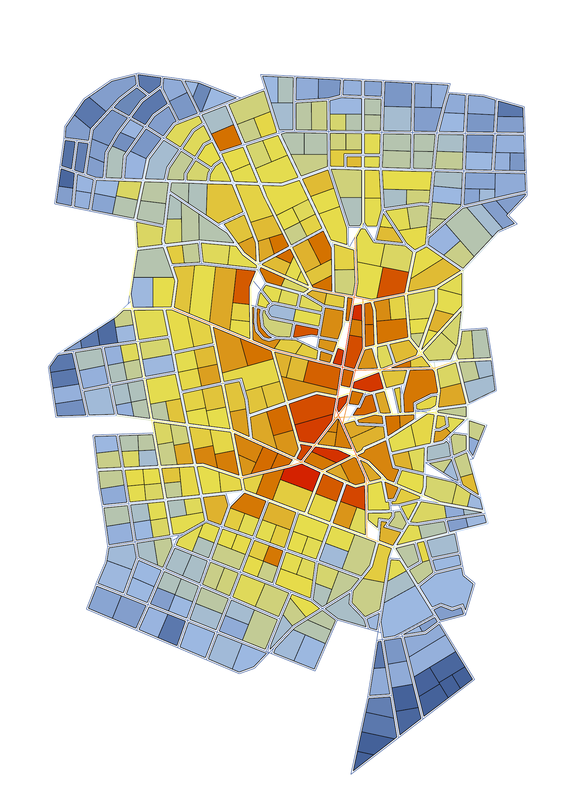 For this purpose, we present three urban planning model examples: The first is a classical system dynamics simulation that abstracts from spatial elements. The second adds spatial relations in terms of distances between locations in a grid. The third shows how to represent a city in more details and adds a network analysis module for more precise distance calculations. 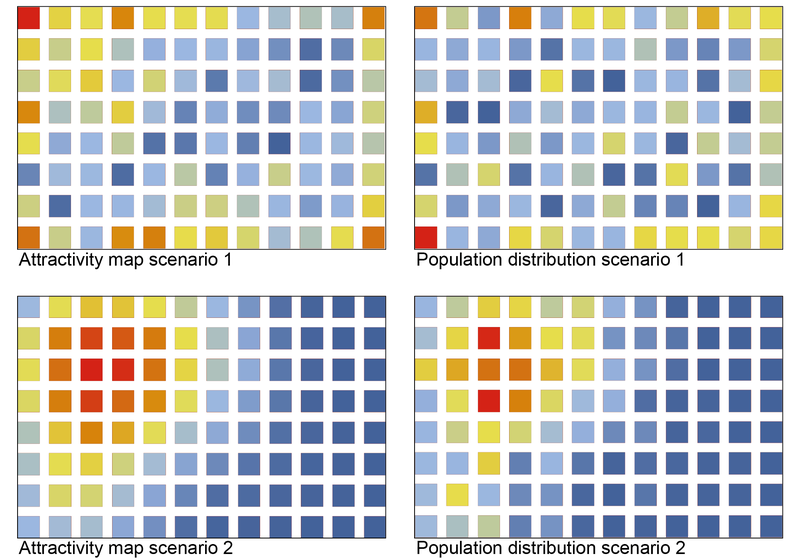 As result, we demonstrate a highly flexible approach for integrating simulations for various aspects that predict the behavior of an urban system in order to facilitate more sustainable urban planning processes. The main drawback of this new level of flexibility is the relatively slow execution time for complex simulations. The Grasshopper files are created for Grasshopper (build 0.9.0076) with Rhino3D v.5. To open and run the models you need to instal the Anemone plugin (we used version 0.4), and for the models 3 and 4 the DeCodingSpaces-Toolbox (we used version 2018.01). Download all four Grasshopper models. This page contains accompanying material for the SimAUD 2018 conferece paper System Dynamics for Modeling Metabolism Mechanisms for Urban Planning. In the first model, we reproduced the wolf-sheep-predation system dynamics model from the NetLogo model library in Grasshopper. 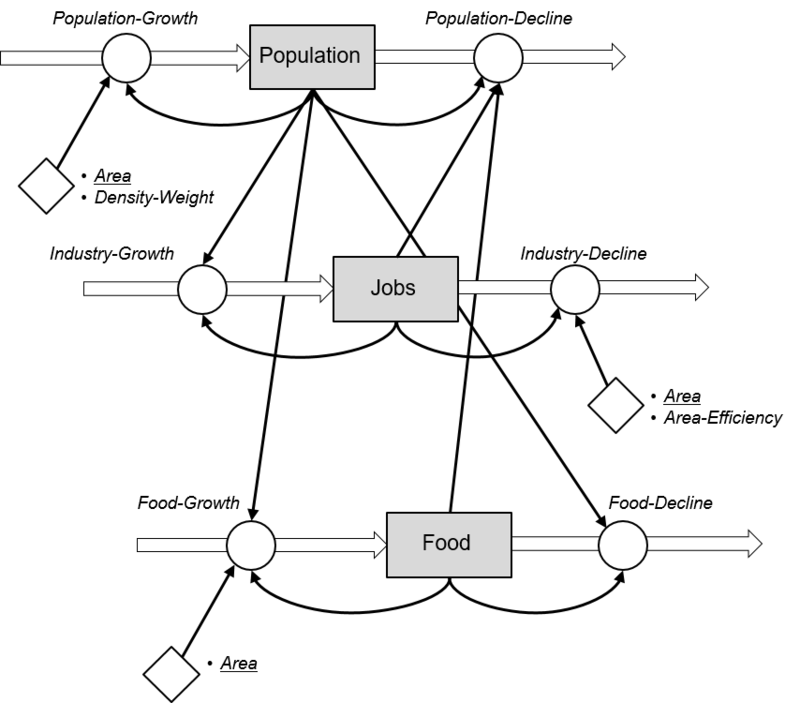 The second model implemented an abstract urban dynamic system that includes the development of population size, number of jobs and food production (stocks). These stocks depend on various relationships between each other (flows) and on the available areas for the corresponding land uses. The third model uses a 12 × 8 = 96 cells grid. Based on the all-pair Manhattan distances between the cells, we compute for each iteration the attractivity of a cell for new population or workplaces. For the fourth model we use the real geometry of a city and compute the distances between locations by means of shortest paths in the street network. For this demonstration, we used the central part of the city of Weimar in Germany. For learning more about the implementation of the Net-City model, please look at the post on our SimAUD Workshop Network analysis based dynamic urban simulation in Grasshopper. The last model is further extended. Please look at the article Dynamic Urban Development Model.